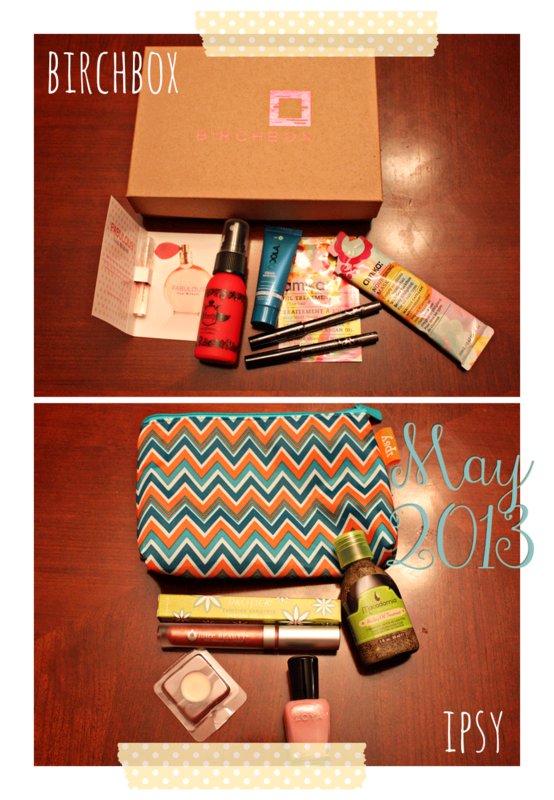 I am currently subscribed to two beauty subscriptions: Birchbox and Ipsy. I realize that there are many more out there but these are the two that I am currently testing out. I’m only allowed one subscription at this point so I had to compare the two for a couple months and make the ultimate decision. Will it be Birchbox or will it be Ipsy?? I meant to create this post in April, but with a newborn and an unofficial site, there was no immediate rush to get it done. Now that I am finally getting around to it, I will compare both April AND May’s packages! It was your lucky day and you didn’t even know it. As you can see in the pictures, birchbox seems to favor foil packets. This is a little pet peeve of mine. I realize I am only paying $10 for the subscription but at least try to fool me with better packaging! When I see foil packets I think “cheap”. Don’t you? In comparison, I find that I get better products in the ipsy bag and they are pretty good sample sizes. Some even seem like they could be full sizes! Besides, who doesn’t love getting a cute reusable make up bag every month?! Next > Ittybot: Four months! !